In today’s practice of Christian apologetic, very few attention has been given to the features how biblical writers conduct apologetic to their contemporary worlds. I believe that the Bible has a lot to say about how a Christian apologist could formulate his argument. Here I am trying to give an example from my contemplation of the Gospel of John. The preface to the Gospel of John in the English Standard Version (ESV) of the Bible begins with this verse: “John wrote his Gospel to persuade people to believe in Jesus (20:30-31).” In fact, the rendering “so that you may believe” in John 20:31 hides a textual variant. It could be either ἵνα πιστεύητε (present subjunctive), i.e., an exhortation to present reality, suggesting that the writer was to edifying the faith of those who already believe; or, ἵνα πιστεύσητε (aorist subjunctive), i.e., an exhortation to the unrealized reality, implies that the writer was addressing to non-believers. According to a more conservative evaluation of Carson, “Quite apart from the fact that this is a reductionistic analysis of what a ‘strict interpretation’ of the present and aorist tenses requires, it can easily be shown that John elsewhere in his Gospel can use either tense to refer to both coming to faith and continuing in the faith.” Christian apologetics, in fact, concerns both. The early use of the Gospel was probably to convert non-believing Jews, proselytes still in connection with the synagogue, or God-fearing Gentiles (cf. Acts 13:26). The author was not satisfied with taking seriously Jesus’ divine origin such as the prophets or the Messiah; but he felt compelled to exalt Jesus to the highest standing as identical to God himself. Such apologetic was necessary to distinguish the difference between the Jewish religion and the Christian’s—who did not only follow Jesus but also worshipped him, for otherwise he had failed his persuasion. The early Christians were also alerted by the fact that the church was expanding outward into an often hostile world with competing systems of beliefs, the “wisdom of this world.” Diaspora Jewish proselytes under Hellenistic influences often held a syncretic worldview that required a different kind of correction than the Palestinian Jewish. The challenge of non-Christian worldviews would threaten the faith of the members of the Church even after their conversions. The writer of the Gospel set out his thinking against the Jewish and Old Testament backgrounds, and but he clearly had the non-Jewish worlds in mind. His frequent use of universal references (life, light, water, etc. ), and multivalent use of the word “world” with the sense of “humanity in general,” evidenced that his envisaging of a wide readership rather than an introverted and isolated group of Christians. Most significantly, he delineated the divine condemnation and salvation toward universal humanity (3:16-17; 4:42; 6:33,51; 17:21; and cf. 12:32). Throughout the history of the church this Gospel has served as a means for both evangelistic and edificatory purposes against non-Christian worldviews. For this reason I would prefer using the term “apologetic” in describing the general purpose of this Gospel. When I am reading the Gospel of John, there are a few things that I generally do not engage: First, I do not intend doing apologetics for this book. I only want to show what the Gospel teaches us about apologetics. Second, I do not attend to the exercise of “historical reconstruction,” if which means to “recycle” biblical data and other source against the author’s will to create theories about the origin or the formation of this book. Third, I do not stress on the literary styles and features over the historical value of this book, as many would like to distinguish, the distinction of synchronic and diachronic reading. Rather, I focus on the theological account of the divine will and works in the history, to reading this Gospel as a Christian Scripture, with my best literary and historical sensitivity. (picture source: Russian Orthodox icon of the Apostle and Evangelist John the Theologian, 18th century (Iconostasis of Transfiguration Church, KizhiMonastery, Karelia, Russia; published on Wikipedia: http://en.wikipedia.org/wiki/John_the_Apostle). All scriptural citation in this paper is from English Standard Version (ESV). I refer to “the writer” as the anonymous author of the Gospel of John who is known as the “Beloved Disciple” (John 13:25; 18:15, 16; 19:26,27;20:2,3,4,8; 21:7,20,23,24). There are sufficient evidences to suggest he is John the son of Zebedee, but I wish to respect his voluntary anonymity. Carson in his commentary insists to distinguish between the purpose and the use of the Gospel Carson, and concludes that the Gospel was originally addressed to the Jews primarily for evangelistic purpose. In light of the divine intension of the Scripture and the general features of the text, I do not think such strong distinction as necessary. Craig R. Koester, The Word of Life: A Theology of John’s Gospel (Grand Rapids and Cambridge: William B. Eerdmans, 2008), 3-4. Richard Bauckham, “The Fourth Gospel as the Testimony of the Beloved Disciple,” in The Gospel of John and Christian Theology (ed. Richard Bauckham and Carl Mosser; Grand Rapids: William B. Eerdmans Publishing, 2008), 122-3. 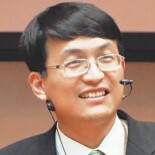 This entry was posted on 三月 12, 2012 by 陸尊恩 in Apologetics、Hermeneutics and tagged apologetics, Carson, Gospel of John.